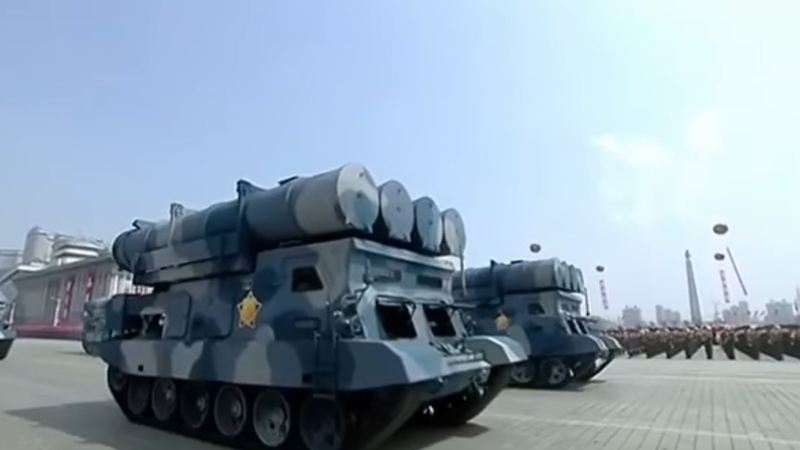 In 2014, observers became aware of a North Korean variant of the Russian-designed Kh-35 antiship cruise missile (ASCM), now dubbed the Kumsong-3. How North Korea came to acquire the Kh-35 remains unclear. Conflicting reports suggest that North Korea may have acquired it from Myanmar, or from Russia directly. The Kh-35’s range is between 130-250 kilometers, depending on the particular model. 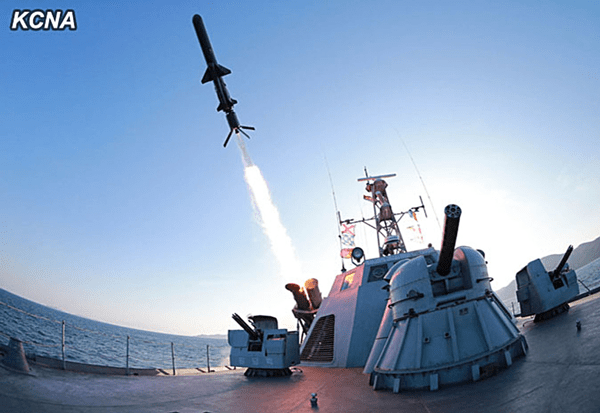 Although the exact capabilities of the North Korea’s Kumsong-3 variant are not yet fully known, North Korea’s employment of the missile represents a significant technological improvement in antiship and coastal defense capabilities in range, accuracy, and propulsion. Its existence adds a new threat dimension to naval and maritime activity in the Sea of Japan. North Korea’s only other antiship cruise is the aging KN-01, based on the Russian P-15 Termit and Chinese CSS-C-2 Silkworm. The Kumsong-3 first appeared in a DPRK propaganda video released in June 2014.1 The first apparent test launch of the missile occurred on February 7, 2015, according an article published by North Korea’s state sponsored KCNA news agency.2 The missile was reportedly fired from a patrol boat, and flew a range of 200 km. A second instance of flight tests possibly occurred on June 7, 2017, in which North Korea fired four antiship cruise missiles into the Sea of Japan, which also flew to a range of around 200 kilometers.4 Unlike the February 2015 test, the missiles were ground-launched rather than fired from a ship. The Russian Kh-35 is a subsonic ASCM capable of flying as low as 10-14 meters while cruising. It measures 4.4 meters long with a diameter of 0.42 meters, and has a launch weight of 620 kg. Missile Defense Project, "Kumsong-3 (Kh-35 Variant)," Missile Threat, Center for Strategic and International Studies, June 8, 2017, last modified June 15, 2018, https://missilethreat.csis.org/missile/kumsong-3-kh-35-variant/. Jeffrey Lewis, “When a Cruise Missile is Just a Cruise Missile,” 38 North, June 19, 2014, http://www.38north.org/2014/06/jlewis062014/. “Kim Jong Un Watches Newly-Developed Anti-Ship Rocket Test-firing,” Korean Central News Agency, February 7, 2015. Ian Williams and Thomas Karako, “North Korean Missiles on Parade,” CSIS Commentary, April 17, 2017, https://missilethreat.csis.org/north-koreas-new-missiles-parade/. Ben Wescott and Steve Almasy, “North Korea Launches 4 Anti-ship Missiles, Fourth Test in a Month,” CNN, June 8, 2017, http://www.cnn.com/2017/06/07/asia/north-korea-missiles-launch/index.html. James O’Halloran, IHS Jane’s Weapons: Strategic 2015-2016, 2015, (United Kingdom: IHS), 189. Zachery Keck, “Who Sold North Korea a New Anti-Ship Missile?,” The Diplomat, June 13, 2014, http://thediplomat.com/2014/06/who-sold-north-korea-a-new-anti-ship-missile/. “The North Korean Kh-35: A Closer Look,” Blog Post, Korean Defense, July 8, 2014, http://www.koreandefense.com/the-north-korean-kh-35-a-closer-look/. Ankit Panda, “North Korea’s New KN19 Coastal Defense Cruise Missile: More Than Meets the Eye,”The Diplomat, July 26, 2017, http://thediplomat.com/2017/07/north-koreas-new-kn19-coastal-defense-cruise-missile-more-than-meets-the-eye/.